Click on any of the images below for further information on the product range. 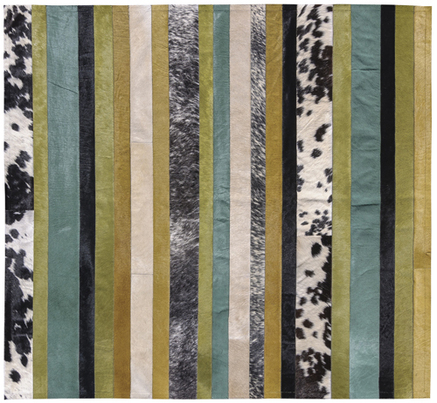 Art Hide’s newest release for the Pop Collection is inspired by the colours of nature and architecture in Argentina. 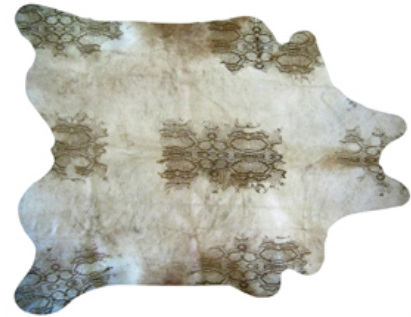 The Nueva Raya Verde premium cowhide rug is fully designed in Australia and features new shades of Linden Green, Ochre and Nile Blue, paired with stunning natural light caramel and black and white. Cushions are available in 45cm2 and 55cm2. The striking Nueva Raya style features on-trend hot pink contrasted with a rich burgundy and natural tones. The style is available in both rugs and cushions. 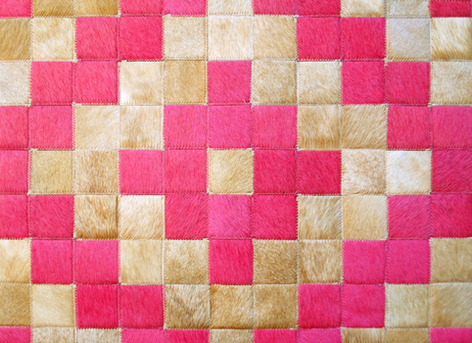 A vibrant design with bubblegum pink and caramel panels arranged in an Aztec-inspired pattern. 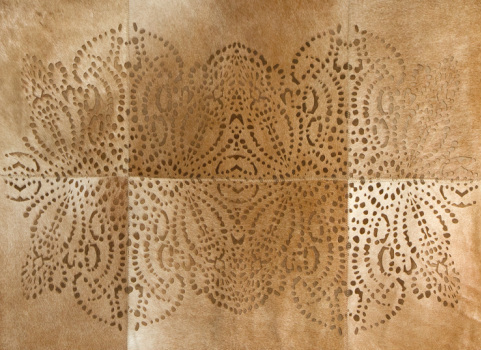 An intricate design featuring an organic, flowing and contemporary motif, created by Art Hide’s trademark laser burning technique. 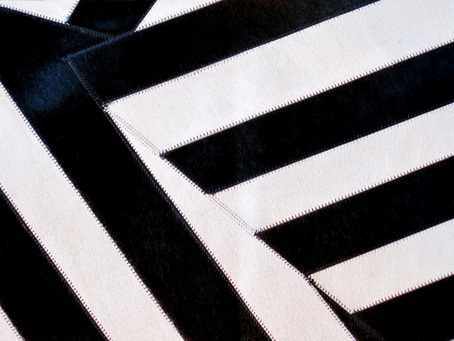 An eye-catching, one-of-a-kind piece, this design features Art Hide’s unique laser-burned snakeskin pattern etched into the hide. 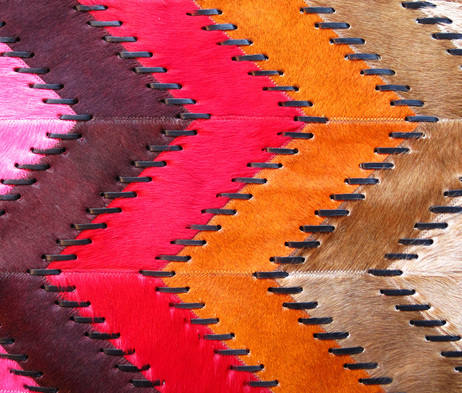 A striking design created by joining highly saturated dyed and natural panels together using contrasting, oversized stitching. 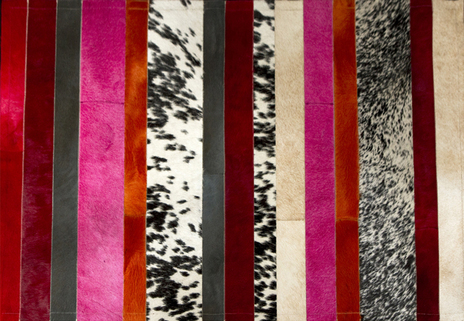 Blending rustic beauty and high design, the Reflexion features an Ikat motif burned on to the hide. 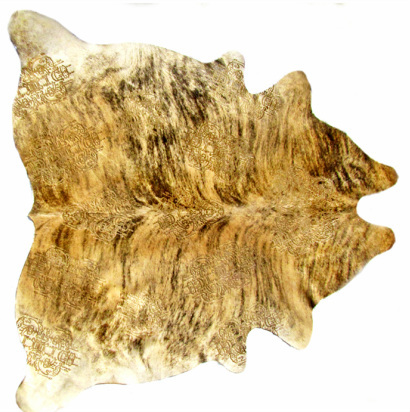 Available in a natural cowhide and in cushions (45cm2 and 55cm2).